The classic chicken wing has been in our lives since its creation just over 50 years ago and it’s popularity has continued to grow every year since. Unfortunately for us original wing-lovers, so has the cost of the deep fried, hot sauced, blue cheese slathered snack. Remember, specials are subject to change in the future! We recommend checking restaurant’s Facebooks or calling ahead to confirm that deals are still good in the future! Restaurants are not responsible for providing specials to customers after the deal has ended. Bring your receipt from (716) to the next upcoming happy hour at (716) and receive a double order of wings for the price of a single. Hey, every dollar counts. While you’re there: Join the friendly staff at (716) Monday – Friday (excluding event nights) from 4 p.m. – 7 p.m. for happy hour. 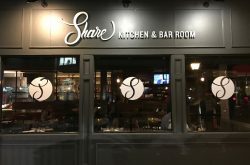 Their happy hour specials include $2 off bottle and draft beers (except corked and cage), $1 off wine (not the bottle), $1 off mixed drinks and cocktails (excludes secret cellar) and house made snacks to munch on at the bar. Ah, the Anchor Bar…where it all began. If you happen to be there on $2 Tuesday, specials include $2 off a single order of wings, handcrafted cocktails and burgers. While you’re there: Keep the theme going with a Buffalo wing burger made with a 100% all beef patty, grilled, then smothered with Original Anchor Bar Wing Sauce and bleu cheese. Check out the lord of the wings deals next time you’re in too! Thursday night is wing night at the Big Tree. Get 50 cent wings (dine in only) from 7pm – midnight. Get ’em while they’re hot. While you’re there: Try their chicken fries! Every Saturday from 3 p.m. – 5 p.m. and 9 p.m. – 11 p.m. Conlon’s offers 45 cent wings with original, BBQ or Cajun sauce. The dippers at Conlons include bleu cheese, ranch, honey mustard, or BBQ sauce. Yum! Mondays at the Ebenezer Ale House means 30 cent jumbo wings with 18 different sauces to choose from! The sauce choices include mild, medium, hot, atomic, porter BBQ, hot BBQ, Thai BBQ, Cajun, bourbon glaze, chipotle raspberry, honey garlic, spicy mango peach, sweet Asian chili, lemon garlic, lemon pepper, honey mustard, honey mustard BBQ, and garlic parmesan. 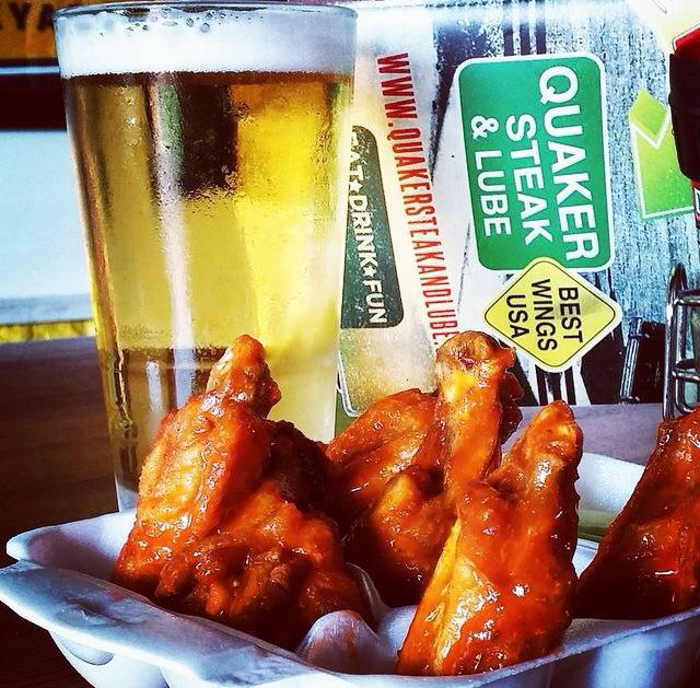 Enjoy your wings with a $10 “bucket o’beer” with mix-n-match options all night! Clearly this is a deal of a lifetime. While you’re there: These guys also have a fantastic Happy Hour daily from 3 – 7 pm featuring $3 craft drafts, $2 domestic drafts and bottles, $2 well drinks, $3 house wines and select half priced appetizers. 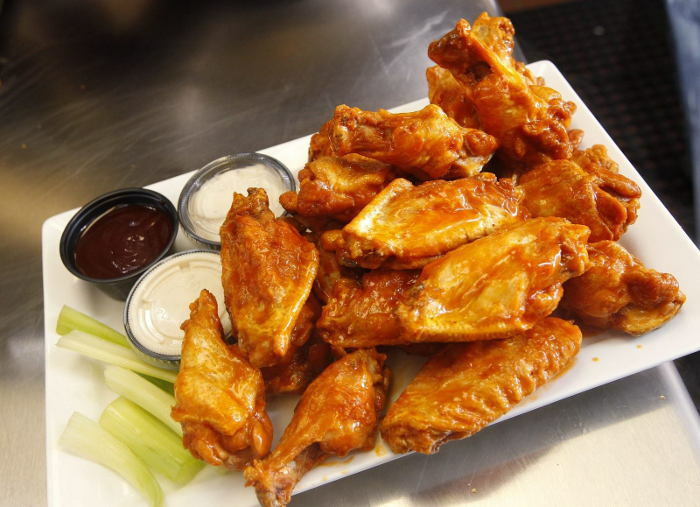 Mondays at Eden Ale House is just as good as the deal above – 30 cent jumbo wings with a ton of sauce options. If you’re a sauce lover, check this deal out immediately. While you’re there: Take advantage of their awesome happy hour deal Monday – Friday from 3 – 7 pm including half off select apps! Keep an eye out here for the Akron Ale House (same owners as Eden and Ebenezer) to start their wing night special! On Mondays and Thursdays, head to Gordon’s for $1.50 off single, $3 off a double, $4 off a triple and $5 off a bucket of wings! Plus Monday – Friday from 3 p.m. – 7 p.m. take advantage of their happy hour. Enjoy $1 off all draft pints and their deal for bourbon lovers out there; three 1oz bourbon samples plus a specialty pint for $18. While you’re there: Tell your vegetarian friends that Gordon’s has eggplant strips breaded with panko breadcrumbs and deep fried then slathered in the wing sauce of your choosing. Boom. Tuesday is a special, special day at Lebros. Grab wings for just 50 cents each and take advantage of their buy one get one appetizers all day! 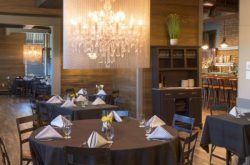 While you’re there: Try their cheese ravioli…it’s for charity! For every order of “Rav’s for Roswell” cooked up in the kitchen and served to Lebros lovers, they’ll put $1 from the entree towards Carly’s Club for Pediatric Cancer Research at Roswell Park Cancer Institute. SOLD! Get 50 cent wings on Wednesdays at Matty’s from 1 – 3 pm & 8 pm – 1 am! Goodbar on Elmwood offers guests 50 cent wings and $1 off Pints of Wolaber’s Oatmeal Stout every Sunday. Sunday Funday here we come! While you’re there: Remember that every Friday all day starting at noon, you can enjoy $1 off Micro and Import Pints. Starting at 6 p.m., there is a free happy hour buffet with complimentary food like wings, pizza bites, cheese poppers, veggies, cheese, crackers, and pepperoni to enjoy before the live band plays at 10 p.m.
Mondays from 7 p.m. – 12 a.m. enjoy 25 cent wings (dine in only) at this hidden gem tucked away in the Southtowns. Noted for their surprisingly good bar food, their 25 cent wings are a deal you can’t miss! While you’re there: Or after rather… head across the street to Mammy’s and compare wings. Every Tuesday, lose yourself in the all-you-can-eat wing fiasco from 5 p.m. – 10 p.m. for $13.99. Quaker Steak and Lube offer customers a fun atmosphere and convenient location right near regal so you can stuff your face before or after seeing a movie! 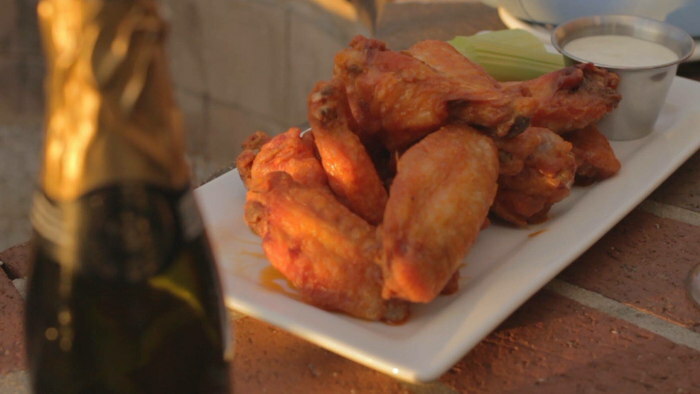 Try some of the best wings tossed with sauce your way and dunked in creamy blue cheese. While you’re there: Try the Bavarian soft pretzels served with tangy Guinness beer-cheese dip. Do you like the heat? Look out for the triple atomic wings. The challenge includes a T-shirt and you even have to sign a release form. Cheers! New this summer, Roaming Dee’s a restaurant/bar collaboration between food trucks The Roaming Buffalo and Mickey Dee’s. On Monday nights, get 50 cent wings starting at 7 pm. They even have a “Mango Habanero” sauce. Every Wednesday night after 7pm is Yuengs & Wings Night at Scallywags! Treat yourself to 40 cent wings & Yuengling specials! Who can say no to that combo? Plus we hear the wings are super good. If we’ve learned anything from Diners, Drive-Ins, and Dives, it’s that bigger and fancier doesn’t always mean better. That’s what gives Schabadoo’s character. Every Wednesday from 11:30 a.m. – 8 p.m. Schabadoo’s offers 40 cent wings – and they’re realllll good too. Every Monday enjoy all you can eat wings from 7 p.m. – 10 p.m. for only $6 at Shenanigans. (Holy mother!) Devour your wings doused in Shenanigan’s Signature Guinness BBQ or make them double BBQ for an extra $1. If those last two sentences don’t get you goin’, nothing will. 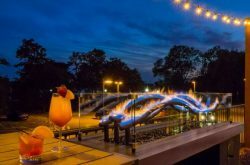 While you’re there: Stick around on Monday for trivia from 7 p.m. – 9 p.m. and try some of their specialty topped fries like their pizza fries topped with marinara sauce, mozzarella cheese and parmesan cheese or their devil fries loaded with hot sauce topped with mozzarella and bleu cheese. While you’re there: Try the roasted banana peppers stuffed with a 4 cheese blend, seasoned breadcrumbs & topped with sweet basil marinara. Monday through Thursday (yea, you read that right) get 50 cent traditional wings (10 wing minimum) in Striker’s lounge. If you had your heart set on Cajun, Sweet & Tangy or BBQ Wings they’ll just add $1.00 per 10 wings. Thank you Strikers for being awesome. If you’re looking for a good spot for any Bills or Sabres games, they serve 50 cent wings during games! While you’re there: Grab some 50 cent Oyster Shooters on Thursdays from 7 – 10 pm too! Tony Rome’s in East Aurora has an all day wing special on Mondays AND Tuesdays featuring buy one single order get one single order with the purchase of a beverage. 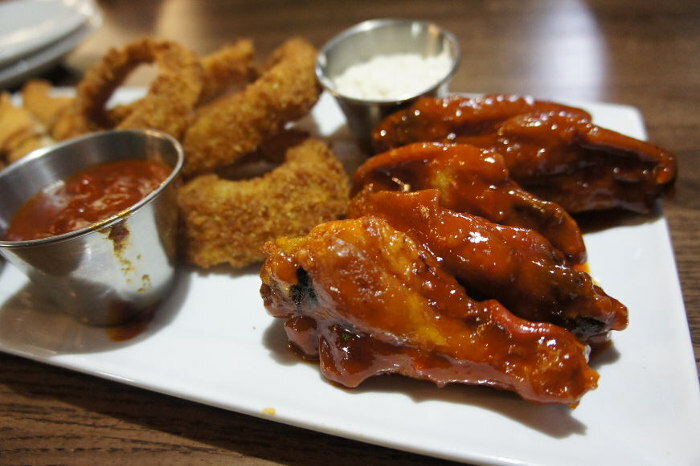 All day on Wednesdays try Transit Music & Sport’s Lounge’s 40 cent wings smothered in sauces like their hot BBQ or ask about the Jester and Black Orange BBQ flavored wings. While you’re there: Try their pint of bacon…a cup of Crown Royal Maple candied bacon! Every Wednesday from 8 p.m. – 12 a.m. bask in $5 all you can eat wings and wash them down with $2 ice cold Rolling Rocks. The friendly bartenders and awesome food keep locals coming back again and again. 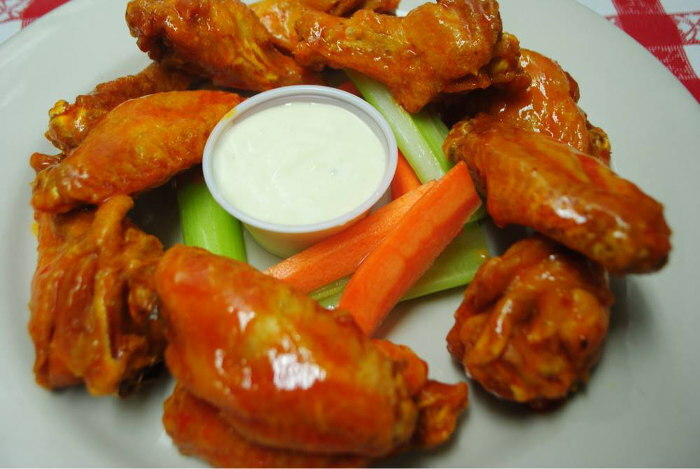 If we left out any of your favorite places with great wing specials, email us at info@stepoutbuffalo.com! Remember, specials are subject to change in the future! We recommend checking the restaurant’s Facebooks or calling ahead to confirm that deals are still good in the future! 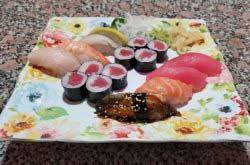 Restaurants are not responsible for providing specials to customers after the deal has ended.